Goa: The South Western Railway (SWR) has completed nearly 65% of the track-doubling project on the 352.5 kilometer long Hospet-Hubli-Londa-Vasco route. Another 36-km is targeted to be commissioned for 2017-18. First Phase of the project consists of doubling of the 245 km long track between Hospet & Tinaighat. 80km of the total 97km stretch of Tinaighat-Castle Rock & Kulem-Vasco section lie within Goa, while 17km is located in Karnataka. 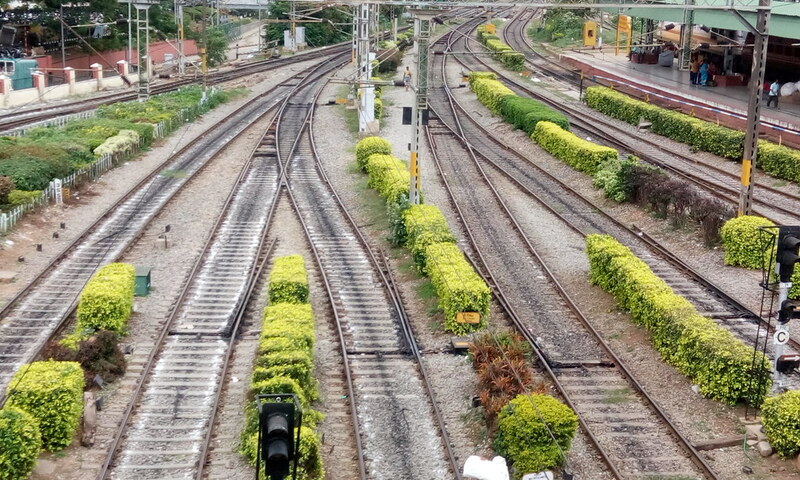 As per a preliminary engineering survey, the estimated cost of track doubling of this stretch, which will be executed during the 2nd phase, is Rs 1,198 crore (Approx US$ 187.19 Million). The SWR has so far incurred an expenditure of over Rs 700 crore (Approx US$ 109.38 Million). The project is expected to boost movement of imported coal from the Mormugao port to steel industries & upcoming thermal power plants in Karnataka. Also, the track is expected to increase passenger trains connecting tourist destinations to Goa.